The Beetroot is much more than just a vegetable. It is a superfood due to its nutritional value. Moreover, when it is added to any preparations, its incomparable flavor and attractive color make the dish even more alive. I am in a bit crazy and experimental with beetroot, that how can i include its nutrients and texture in my all-time favorite nonveg dishes. And finally, i got one...Did u ever tried this delicious chicken recipe with beetroot....??. Without compromising on taste, it just attracts the crowd with its inviting texture. So give this chicken dish a try. 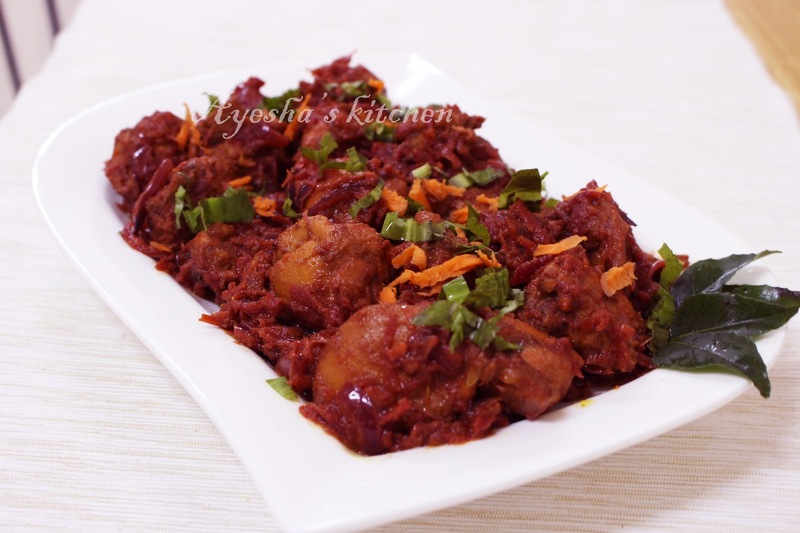 Hope you all will really love this classic chicken curry with beetroot which really turns out very well in its flavor and texture. 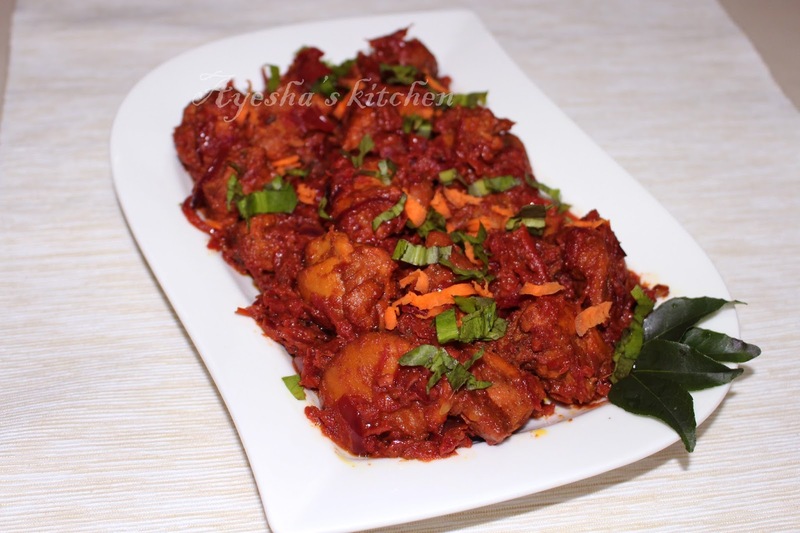 Here is the recipe showing how to make beetroot chicken / yummy chicken recipes / healthy chicken recipes/ simple chicken recipe/side dish for chapati / roasted chicken. Marinate the chicken with ginger garlic fennel seed paste, curd, Kashmiri chili powder, coriander powder, turmeric powder, and salt. After 15 minutes of marination, cook the chicken for about 10 minutes in a medium flame. Then add finely chopped shallots, tomato to it along with some coconut oil and mix well. Allow it to cook for few minutes, meanwhile take a kadaai/ cheenachatti. Pour some coconut oil to it and when hot, add chopped shallots for seasoning along with curry leaves. Saute well and then add finely grated beetroot to it and cook well. When the chicken is well combined with the onion and tomato, add it to the kadaai/cheenachatti. Mix well with the beetroot until the color of the chicken gravy changes. Stir continuously to get a thick gravy.